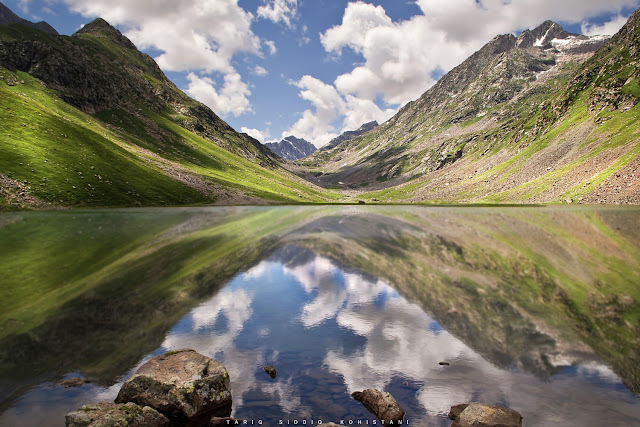 The name Izmis means caves in Kohistani and as the lake is surrounded by several natural caves, the people have named the lake after these caves. Izmis Lake is located to the North-east of Utror valley at a high altitude above the tree line. A small jeep-able link road from Utror leads towards the location of the lake which ends in a valley called Loypanrghalay. 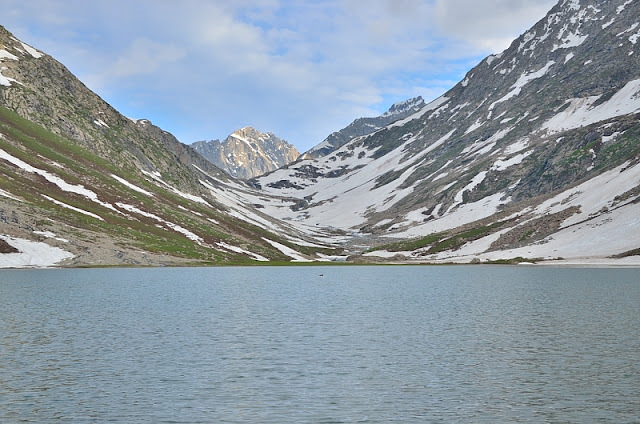 The lake can be accessed from here after trekking for almost two hours. The track meanders between sprawling and lush green carpets of grass covered with flowers of different colours and hues. The grazing cows, lambs and goats make the panoramas more exciting and beautiful. A small hamlet called Kalam Banda is located on these eye-soothing highlands where the grazers welcome everyone in their own special rustic style. The grazers who go to the pastures mostly belong to Utror valley. The signs of technological advancement can be observed here as the grazers have built a Hydro Power Plant to avail the water and electricity in these awesome heights. The lake lies almost at a distance of one hour from this heavenly locale. 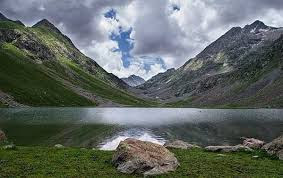 The Lake is surrounded by towering mountains covered with sheen green grasses and herbaceous plants which attract several grazers from the plains in summer. The eastern and western faces of the lake are open with wide gullies at both ends. The grazers have constructed small stone and earthen structures in the peripheries of the lake which provides the temporary residence during summers. It also serves as a watershed for a small stream which mingles with River Swat in Utror. The watershed areas of the lake have turned to peat-land/marshes and are an excellent feeding ground for the migratory birds as well as local bird and animal species. According to the grazers several species of aquatic birds visits the area and feed in the marshes but the local poachers' poses a grave threat to the survival of these endangered species of birds as they regularly visit the area and ruthlessly hunt-down these birds.